The Syrian dossier has been one of the most talked about issue at the UN General Assembly 2013. The US and Russia have agreed on the conditions to destroy Assad’s nuclear armament and the Security Council is expected to vote on the draft resolution on Friday. 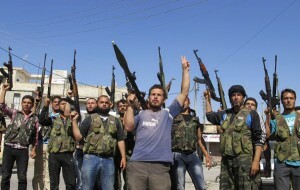 Inside Syria, another major setback has taken place for the rebel supporters much to the advantage of Damascus. John Kerry said that the drafted resolution “is [the] punishment for the Syrian dictatorship’s use of nerve gas to kill rebellious citizens in August.” Russia was active in preventing US missile strikes on Syria and has offered its services to provide security during the destruction process. Its Foreign Minister Sergei Ryabkov also welcomed a second Syrian visit of the UN chemical weapons expert team to investigate claims forwarded by Russia. 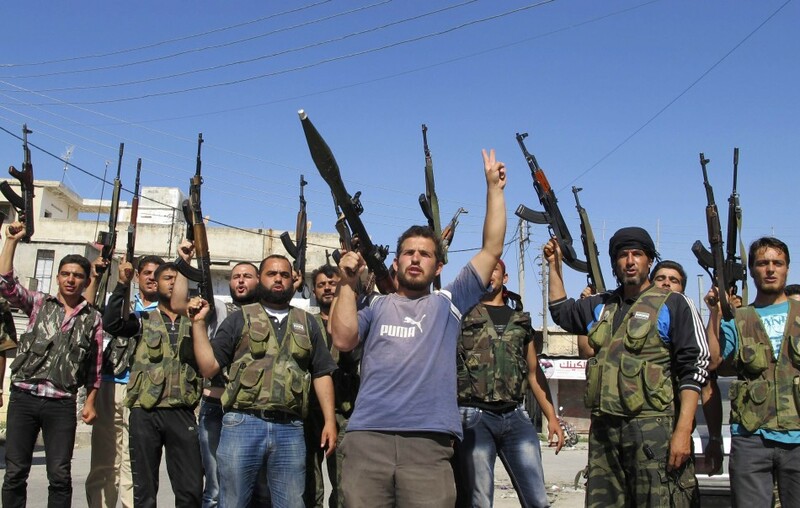 Despite the pressure of certain Arab states and Western countries on Assad, the rebels they back seem to be far from united. The Syrian National Coalition and the Western- and Saudi-backed exile administration of Ahmad Tumeh have been considered inexistent by 13 rebel factions in a joint statement. They claim that “groups formed abroad without returning to the country do not represent them, so the forces will not recognize them.” They also want the opposition to be reorganized under an Islamic framework. Their message was read by Abdulaziz Salameh, the political leader of the Tawheed Brigade. Meanwhile the Russian and Chinese parliaments have released a joint statement supporting a peaceful solution to the Syrian war. The rebels’ decision not to recognize those who are living out of the country will be a major setback to their allies who have adamant that the departure of Assad is the only solution to end the crisis. Written by: Jaber Ali on September 27, 2013. Posted by Jaber Ali on Sep 27 2013. Filed under Headlines, World News. You can follow any responses to this entry through the RSS 2.0. Both comments and pings are currently closed.